Marvel has done it again. 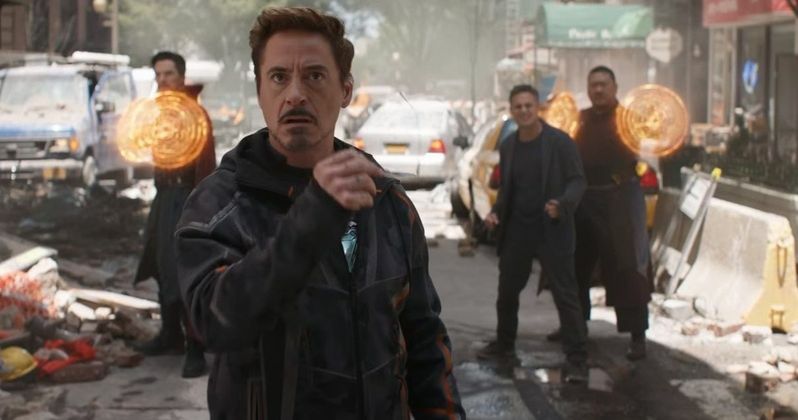 The studio finally caved and released the first trailer for Avengers: Infinity War yesterday, which fans have been begging for ever since the first footage was shown at D23 and San Diego Comic-Con over the summer. The trailer didn't disappoint and the excitement for the movie is at record-breaking levels. The Avengers: Infinity War teaser trailer was viewed more than 230 million times in the first 24 hours, smashing the previous record. Prior to the release of the Infinity War trailer, the first teaser trailer for IT had the record, with 197 million views in 24 hours. That means Marvel's upcoming Avengers 3 beat that by more than 33 million views. The Fate of the Furious, which is one of the highest-grossing movies of the year, is currently in the number three spot for its teaser trailer. But it's a distant third, as that trailer was viewed 139 million times in its first 24 hours. Marvel had this to say in a tweet, thanking fans for breaking the record. "Thank you to the best fans in the universe for making @Avengers #InfinityWar the most viewed trailer of all time with 230 million views in 24 hours! See you all May 4th"
Avengers: Infinity War will serve as the culmination of a decade's worth of MCU movies. It's being billed as an unprecedented cinematic journey ten years in the making and spanning the entire Marvel Cinematic Universe, Marvel Studios' Avengers: Infinity War brings to the screen the ultimate, deadliest showdown of all time. The Avengers and their allies must be willing to sacrifice all in an attempt to defeat the powerful Thanos, who's being brought to life by Josh Brolin, before his reign of devastation and ruin puts an end to the universe. Interestingly, the record for trailer views in 24 hours is constantly being broken over the last few years. The oldest trailer in the top 20 is from 2014, when the first teaser trailer for Star Wars: The Force Awakens was released. Disney absolutely dominates the list, with 14 of their movies placing in the top 20, five of which are other MCU movies. Thor: Ragnarok at number four (136 million), Captain America: Civil War trailer #2 at number ten (94.7 million), Black Panther at number 13 (89 million), Guardians of the Galaxy Vol. 2 at 15 (84 million) and the Captain America: Civil War first full-length trailer at 16 (61 million). Generally speaking, these trailer views are a major indicator of box office success. Beauty and the Beast broke the record late last year and that is currently the highest-grossing movie of 2017 with more than $1.2 billion worldwide. Not that anyone ever doubted that Infinity War was going to be a huge success, but this proves the movie could be one of biggest movies ever. Marvel Stuios, for now at least, is happy to know that the trailer fans wanted so badly lived up to the hype. Avengers: Infinity War arrives in theaters on May 4, 2018.